As described on its website it is a “virtual pinboard”. It allows you to collect and share all the beautiful things you find and love. 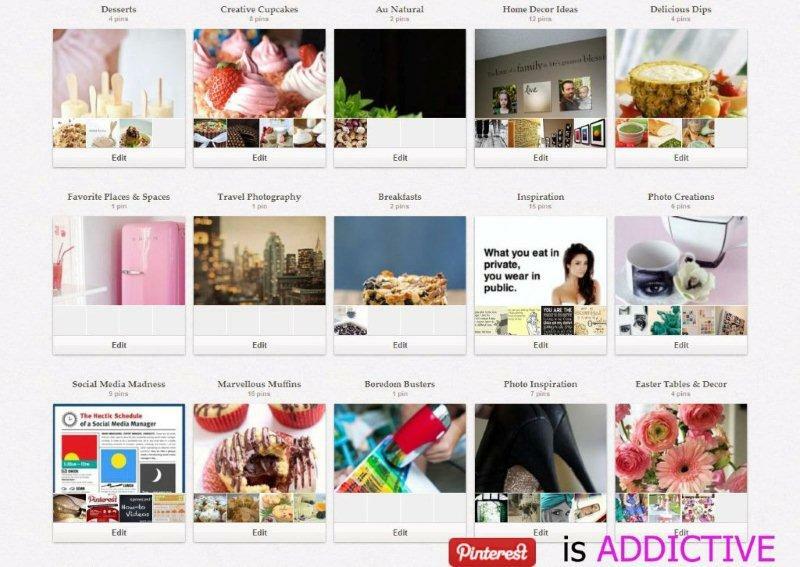 You can browse pinboards created by other people for inspiration or create and build your own. 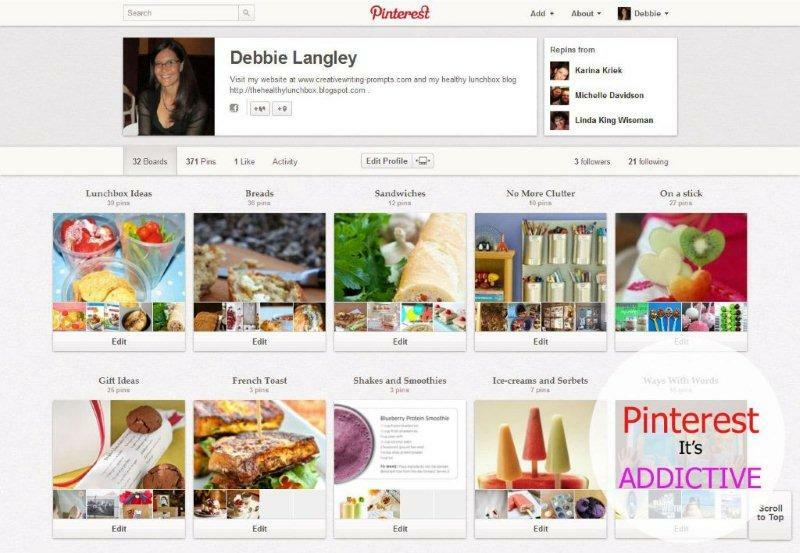 People use pinboards to find inspiration, decorate their homes, share their favorite recipes, entertain with flair and plan parties etc. A board is a collection of topic related pins. You can create as many boards as you want and add an unlimited number of pins to each. Collect blogs, images, you tube videos and anything that you love. Build a virtual database of inspiration. Use it to find ideas and save them for future use. Follow pinboards that interest you. Enjoy a constant stream of innovation and ideas. 1. Click on an image that’s already pinned to the site and “repin” it to one of your existing pinboards or create a new one. Add a comment below the image. You can also like an image without repining it to one of your own boards. Find inspiration on the home page, or choose one of the tabs along the top of the homepage to see what has been recently pinned by people you are following or simply search in general categories of interest. 2. Add the “Pin It” button to your toolbar, by following instructions on how to drag and drop the bookmarklet. 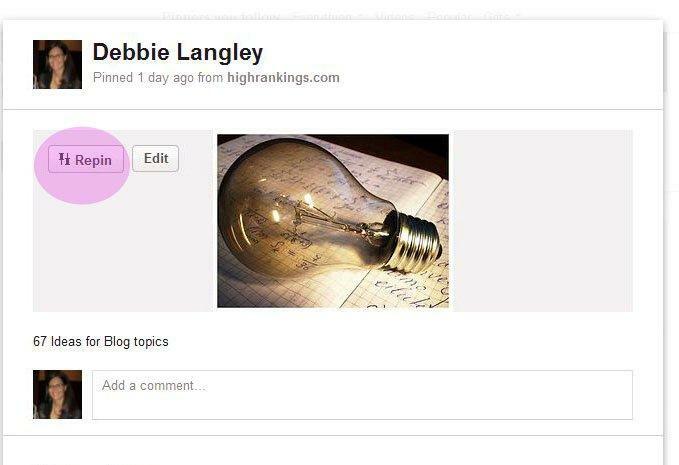 This will enable you to pin an image of choice directly from any website onto one of your pinboards. 3. Upload images directly from your computer or add an image via its URL. This is very simple to do, and can be done by clicking on the “add” then “pin” buttons in the top right hand corner of the Pinterest website. Select the appropriate pinboard and add a comment to each image. This will remind you of it's importance. Please pin one of your favourite creativewriting-prompts.com images and help us grow, or enjoy “repinning” some of my favourites here “Ways with Words”. Return from pinterest to the homepage.